Stokenchurch Cricket Club was formed in about 1860 although cricket was played on the common for a long time before this. The first square was laid out by George White. At one time there were five cricket sides playing in the village; two Methodist sides, one Congregationalist, one from C.R Bates factory and the village side. 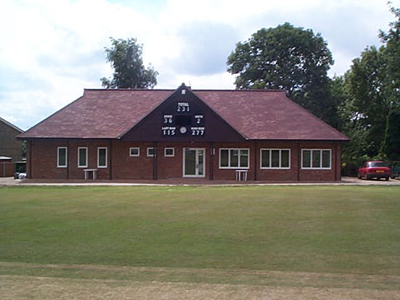 The first pavilion was built in 1910 and to commemorate the occasion a match was played between F W Fane's XI and Stokenchurch Cricket Club. F L Fane who had captained England during the 1907 tour to Australia scored 101 not out in the game. This pavilion was situated in the North West corner of the ground close to the present practice nets. In days past the club won the Wycombe League Cup on five or six occasions. The club colours are Oxford and Cambridge Blue and Cerise as shown here and the club logo is a typical Buckinghamshire chair which, until recently were still made in the village. In 1966 the second pavilion was replaced with a newer building. 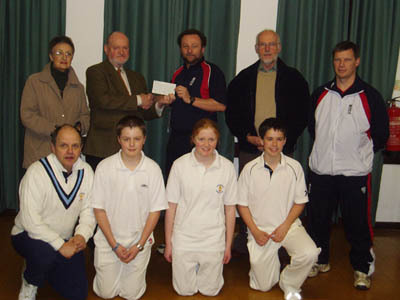 This was funded with help from the National Playing Fields Association. 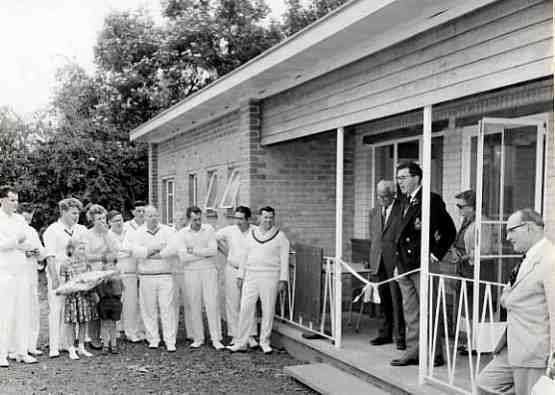 The building was later extended and although satisfactory at the time, was no longer providing adequate facilities to support club cricket in the 21st century. The basis of this application was an exciting and ambitious Sports Development Plan. This included training members to become qualified coaches, restarting the junior sections, forming close links with Stokenchurch Junior School and improving the practice facilities. In 2002 Mohammed Salman scored 205* in a Cherwell League match against Stanton St John, in a team total of 316-4 off 42 overs, a Stokenchurch record "Sal" then went on to play ODI and Test cricket for Pakistan. 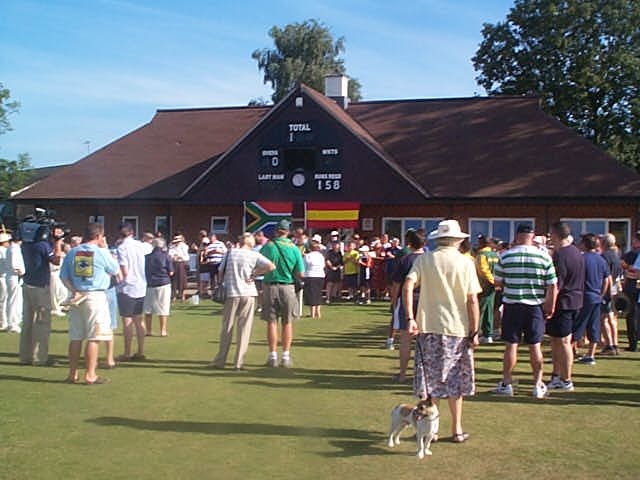 In 2003 we hosted our first international match when the MCC ladies took on the touring South Africa Ladies in August. In 2004 the ground was flooded by a tremendous thunderstorm - 24 hours we were back playing! In 2014 the U13s reached the final of the County Cup beating major clubs such as Buckingham Town, eventually losing a hard fought final to Chesham. 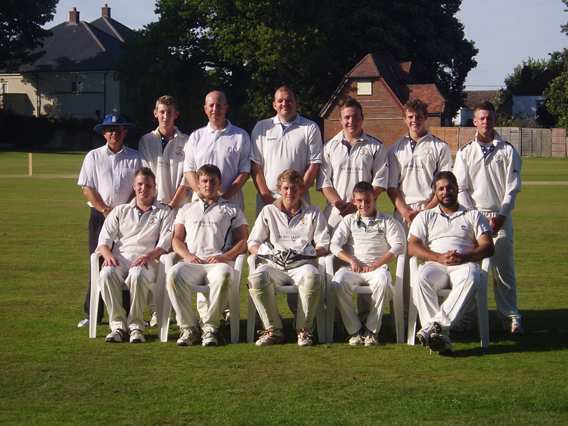 Significant numbers of this team have quickly progressed to Adult cricket and are putting personal bests week after week. With teams down to U10 the future is looking promising.